EAST GREENBUSH, N.Y. -- The country is rallying behind a man who was fired from his minimum wage job at Walmart. He claims he was let go for stealing trash from the parking lot. The store says that's not the case. Paul Grondahl with the Times Union reports that Thomas Smith, 52, had been hired at the East Greenbush, New York Walmart center to round up all of the carts in the parking lot. Smith would also pick up trash he found in the parking lot. In New York, empty cans and bottles can be redeemed for cash, so for two months, Smith began collecting the ones he found discarded by customers in the parking lot. When he went to redeem all the trashed bottles and cans for $5.10 at the store, he was taken aside by Walmart security. "I didn't know you couldn't take empties left behind. They were garbage," Smith told the Times Union. "I didn't even get a chance to explain myself. They told me to turn in my badge." A manager at the store said surveillance caught Smith keeping the trash, which was considered theft of Walmart property. Smith was fired three hours after his normal shift, the paper reports. He says he had agreed to work late that day because of staffing issues. A Walmart spokesperson released a statement, saying "Mr. Smith was terminated due to theft inside of the store and has signed a statement admitting to the crime." Smith does have a criminal history. He served a 15-year prison sentence when he was younger. Life wasn't kind to him after prison. 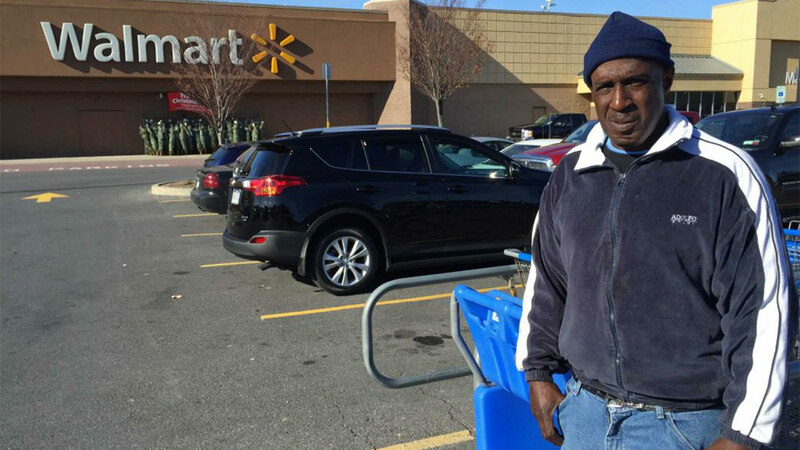 He was homeless before getting the job at Walmart. Smith says he's now a good man, so he paid back the $5.10, despite no longer having a source of income. "I did the right thing and stayed out of trouble. I worked hard and did a good job. I ended up getting a raw deal," Smith told the Times Union. Smith's story quickly went viral on social media sites like Twitter and Instagram. In response, strangers from across the country have been sending him money, hoping the cash helps keep him on his feet until he get a new job. There's even a GoFundMe page set up by someone in Chicago with a campaign goal of $5,000.